In nearly every industry using machines and devices—including the aviation industry, mechanical engineering, food processing, and construction, to name a few—there are common components: springs, chains, locking elements and gaskets. 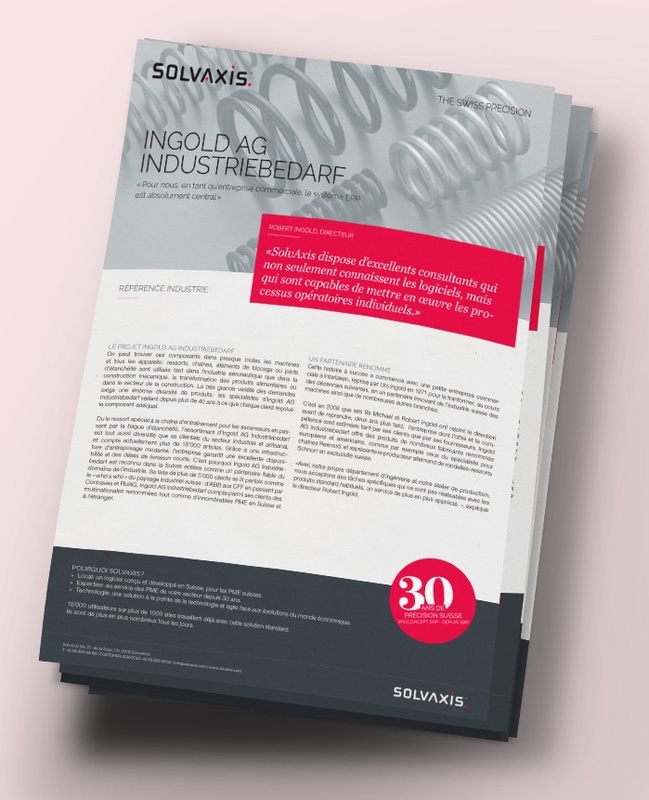 A wide variety of applications requires an enormous variety of products, and specialist Ingold AG Industriebedarf has ensured for over 40 years that each of its clients receives the correct component. Discover the success story of Ingold and its achievements with the business management software ProConcept !